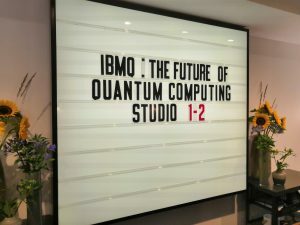 A couple of weeks ago I was invited to chair a press briefing on the current state of quantum computing by IBM. Those of you who watched my report on quantum key distribution for BBC Click last year will know, I am fascinated by this subject. Quantum computers promise to run calculations far beyond the reach of any conventional supercomputer making it possible to extrapolate useful information really quickly from the oceans of data we now make across the planet. To put the need for this into perspective, by the year 2020 about 1.7 megabytes of new information will be created every second for every human being on the planet. Quantum computers have the potential to turn mountains of this data into little molehills to be stepped over in the constant quest for human improvement. If you’re completely new to quantum computing theory, please do watch my report on BBC Click here, as I did the best I can to explain the concept in simple terms. Until just two years ago, quantum computers were locked up in labs; kept at near-absolute zero in dilution refrigerators, and the ideas of what could be done with them were just that – ideas in the form of algorithms that didn’t have machines to test them. 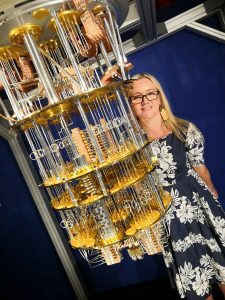 It all changed in 2016, when IBM put a 5-qubit device online for anyone to use. Since then, the world has had its eyes opened to this quantum world – from the different kinds of qubits, and architectures of the machines, to the varied possibilities, some of which is hype, but some ideas that are very real. The chip itself looks kind of similar to regular computer chips, but you wouldn’t normally get to look at once this close up as it has to be encased in a metal cylinder to keep the environment around it free from interference. Fun fact: That steam-punk chandelier is mostly cooling tubes and mechanisms to achieve the near absolute zero temperature conditions the fragile qubits need to function. 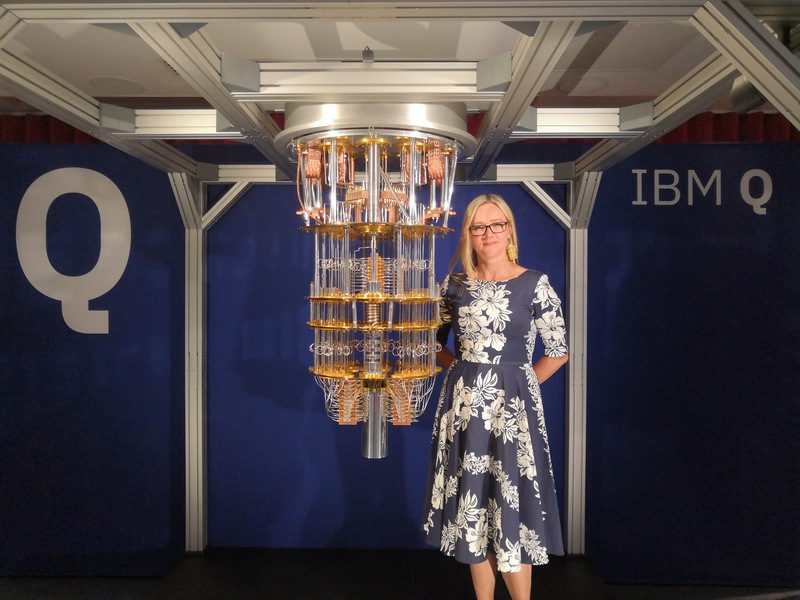 This model of the real machines IBM have installed in hubs around the world was brought in for the press briefing, so we could all get a nice selfie. 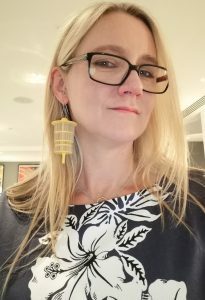 I was even given a quantum computer earring, 3-D printed by Andy Stanford-Clark, who is CTO at IBM UK & Ireland. 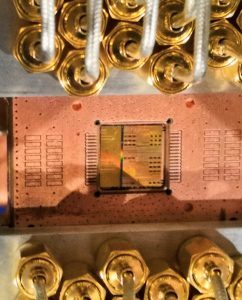 IBM has prototyped a 50-qubit machine, but has working 20-qubit computers online right now for both paying customers and educational access. By the words of the IBM Quantum team themselves, no-one really knows why quantum computers work, they just do. What we have to figure out now is what can we do with them? 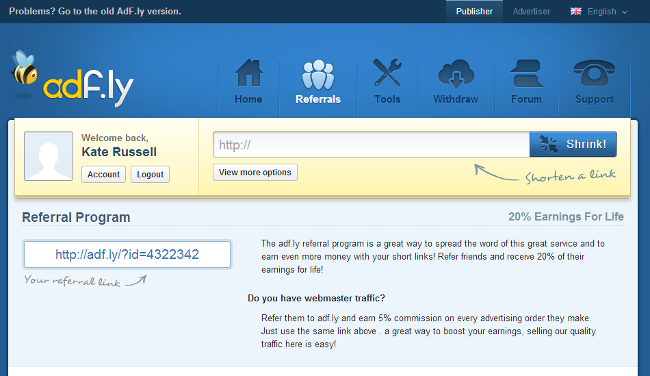 That’s part of the goal with offering free, open access to the early days of this technology. There’s already an active community of users via the IBM Q Experience, with 85,000+ users, who have conducted more than 4.5 million experiments and produced over 80 research papers. In addition 1,500 universities, 300 high schools, and 300 private institutions worldwide have access to these experimental machines, and are starting to add quantum computing to the formal curriculum. You can even play with one yourself right now through the IBM Q Experience Network. 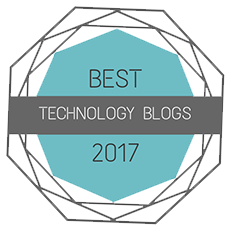 To promote the cause further IBM is taking submissions for a number of “IBM Q Prizes” for educators, students and developers for everything from best curriculum, and best research paper, to best interactive tutorials. It is still very early days. 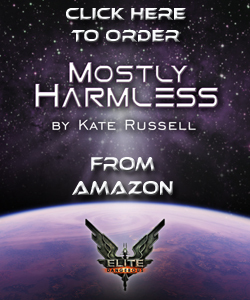 20-qubits is not the ‘planet-destroying’ processing power comic-book fans and doomsday theorists are familiar with when you start talking quantum. 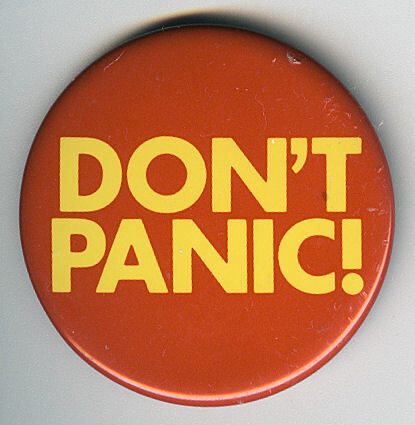 We are probably decades from the kind of might that could break any encryption on the planet, and remember we’ll have quantum encryption methodologies then too, so in the immortal words of Douglas Adam, ‘don’t panic’. 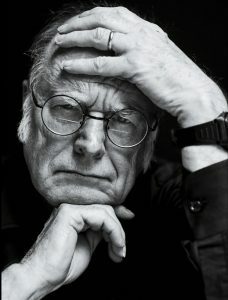 But if you look at the evolution of classical computers you can probably compare today’s quantum tech to about thirty or forty years ago. Could anyone then possibly have forseen where we’d be today? This is very exciting to me, because whilst it is still very new technology its the people who are using it right now who are going to be the world changers of the future. 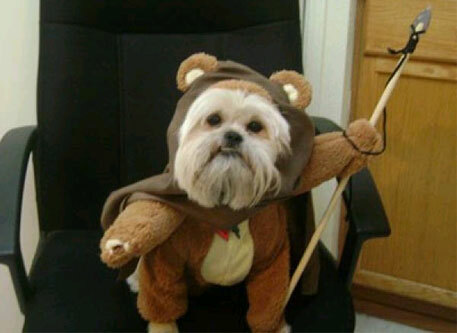 I hope I get to meet a few of them on my travels.